High-voltage fiction from a top TV judge! 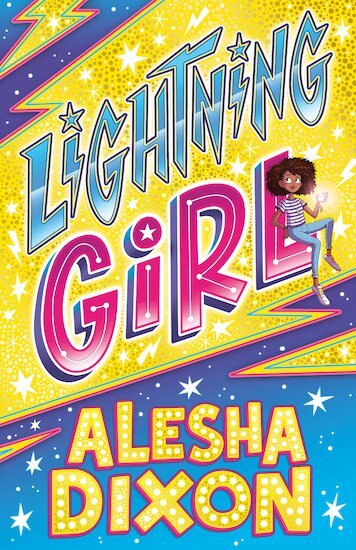 When life gets dark, can Aurora save the world with her totally flash superpowers? Aurora Beam is utterly (yawn) normal. There’s nothing special about her. She can’t even do a proper cartwheel. That is, until the day she spots a bully picking on her little sis – and sparks suddenly fly! Seriously: there are beams of light shooting out of Aurora’s fingers. What’s going on? That’s when Mum drops a life-changing bombshell. She’s a secret superhero – and now it’s time for Aurora to join the crusade against crime! I really like the cover and I think it looks like a really good book and can’t wait to read it.